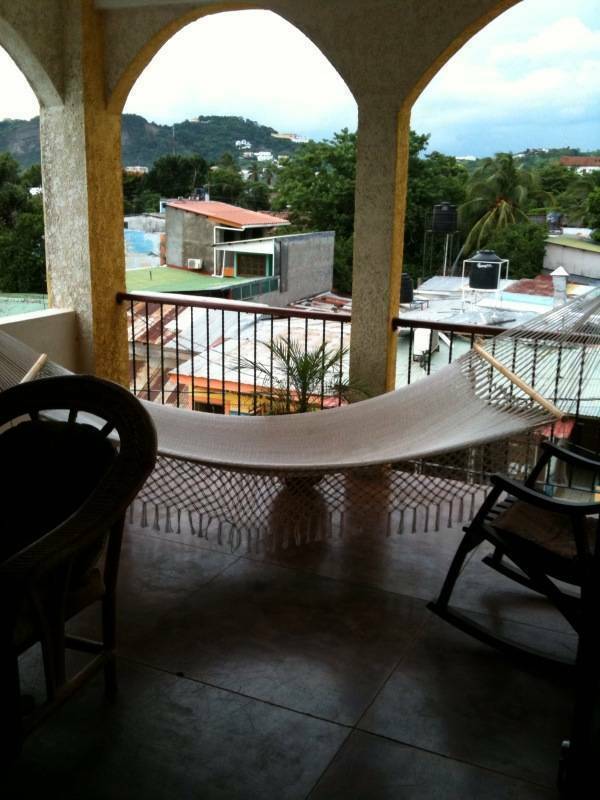 Welcome to La Terraza Guest House where you can enjoy Nicaraguan life in the center of the beautiful town of San Juan del Sur. With our location being next to the central park and church and only 200 meters from the beach, La Terraza offers the convenience your vacation needs. 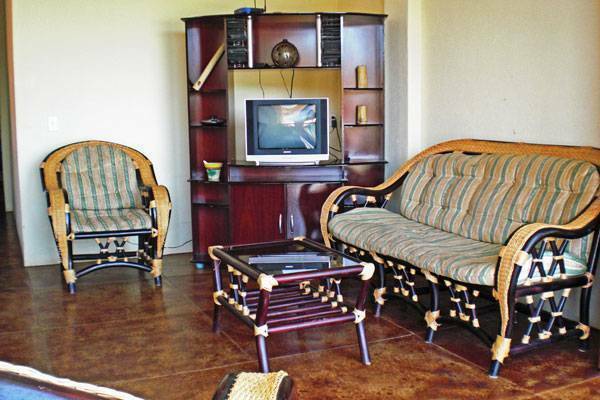 La Terraza Guest House is perfect for a small group, a family vacation or single backpackers as we offer many amenities and services of a hotel with the comfort and convenience of a home. Each unit is divided to offer guests private, secure rooms with use of the spacious living area, kitchen, and roof top terrace. This provides guest with all the amenities of a luxurious vacation at a fraction of the cost. 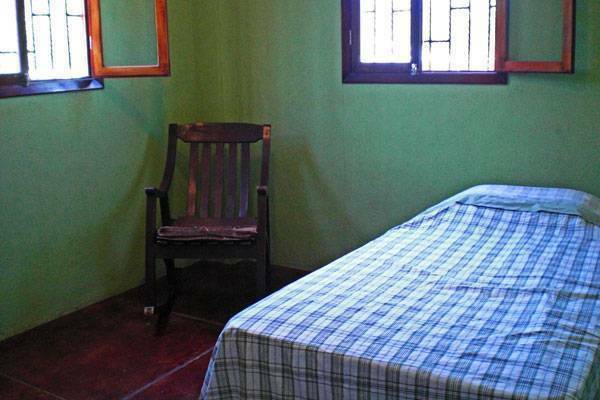 Perfect for the backpacker who is in need of a break from hostel living. With 2 complete kitchens, backpackers enjoy home-cooked meals with fresh ingredients from the local market only a block away. 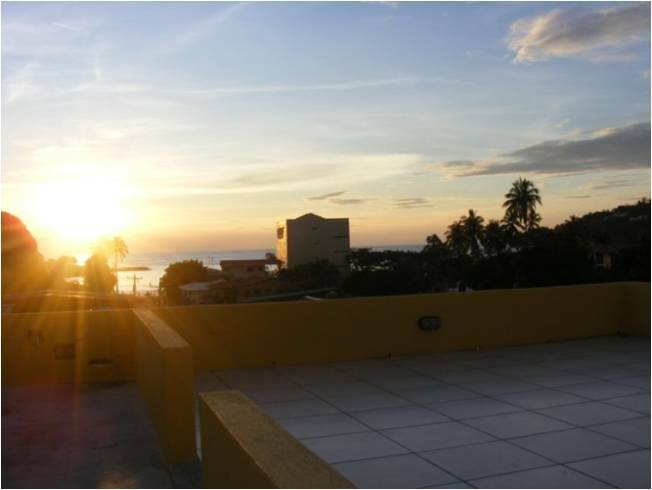 At La Terraza, guests are able to enjoy the comfort and security of a private room (many with ocean view) with private or shared bath and have access to a fully equipped kitchen, living room with cable TV and Wi-Fi internet, balcony and ocean view roof top terrace. Each room is private and secure. 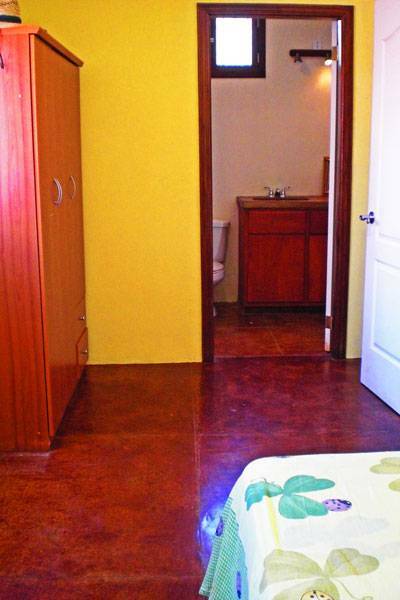 Rooms have private or shared bath and include all linens and towels. Many rooms have ocean view. 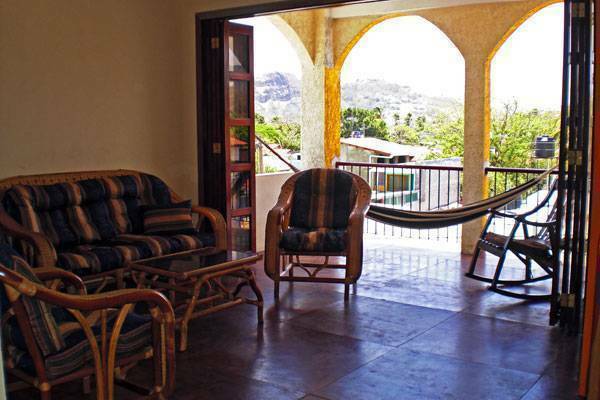 Located in central San Juan del Sur, only one and a half blocks to the beach with several beachfront restaurants to choose from. Also one block south of the central market and 5 meters south of the central park and church. To the north and south are popular surf beaches. Mediteranean cuisine with many vegetarian options. Prices are per room based on double occupancy. High Season Rates apply for Easter week and Christmas/New Year's. Central San Juan del Sur, only one and a half blocks to the beach, one block south of the central market and 5 meters south of the central park and church. Buses and Taxis arrive and leave from the market only one block north.